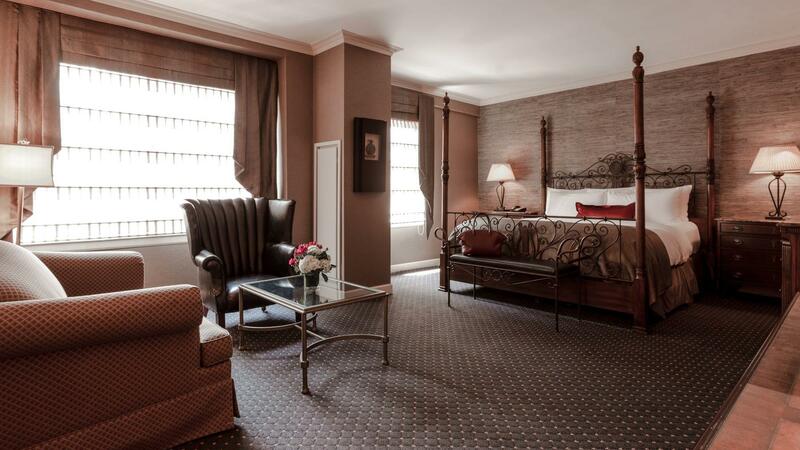 The elegantly appointed Pinnacle King Room is a gem among romantic hotel rooms in Chicago. Complete with tasteful décor and accented with new custom furniture, a writing desk, and more, this Mag Mile hotel room is designed with comfort and style in mind. Additional features include original three-dimensional artwork, premium Egyptian cotton linens, white silk duvet cover over goose down comforter, exclusive Hypnos cashmere mattresses, Whitehall signature plush robes, mini-bar, in-room safe, JBL docking station, 42-inch high definition LED television, premium TV channels, cordless phone, marble bathroom with hand-placed onyx mosaic tiles with shower and soaking tub, as well as vanity and luxury bath amenities. These rooms are located on higher floors.